Length 4 to 4.5 mm. 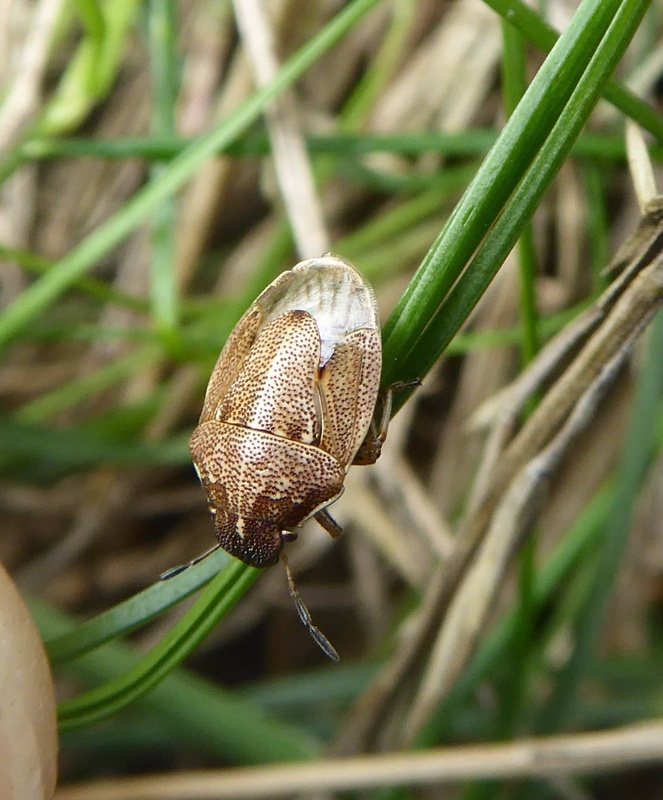 This small shieldbug is pale brown, with paler margins to the pronotum and abdomen, and a pale central stripe running down the pronotum and scutellum. The short head is rather flattened at the front. ; the new generation of adults is complete by August. Grassy places where Poa species are present. Nymphs feed on meadow grasses (Poa sp.). Locally distributed in grasslands across southern and central England.